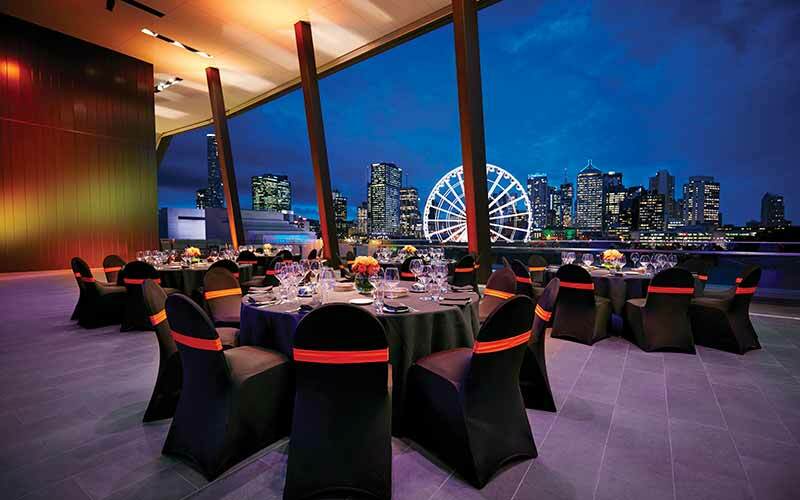 Across Australia, new developments are offering more allure for meetings. And, the airlines are connecting the dots with easier access: Virgin Australia and Qantas began service between Los Angeles and Melbourne in 2017; United is launching daily flights between Houston and Sydney this month; and in June, Air Canada will start service from Vancouver to Melbourne. Also, four Qantas Dreamliners will begin service this year from Brisbane to destinations yet to be announced. Captions: The 312-room W Brisbane will open for business on March 15 along the Brisbane River. The Melbourne Convention and Exhibition Centre's US$154 million expansion should finish in mid-2018. The project is adding nearly 216,000 square feet of event space, including new exhibition halls and meeting rooms, increasing the venue's size to more than 756,000 square feet. Among the details are a multipurpose area with a retractable 1,000-seat theatre and a balcony that will hold 150 for receptions. The 347-room Novotel Melbourne South Wharf Hotel, which opens in March, will be connected to the convention centre and within walking distance of the heart of the city. Melbourne Park, home of the Australian Open, is being refurbished, while a 5,000-seat arena and an event centre are being added. Coming in 2019 is the 205-room The Ritz-Carlton, Perth, with 22,000 square feet of meeting space. On-site will be four restaurants and bars, and a courtyard with tropical gardens. The 368-room The Westin Perth debuts April 27 with about 25,000 square feet of meeting space, including an 8,600-square-foot ballroom. Sheraton On The Park's 558 rooms and public spaces are undergoing a US$30 million revamp. The new design aims for a residential style. The property features more than 27,000 square feet of meeting space. The 509-room InterContinental Hotel Sydney is planning a US$150 million renovation throughout. A new 9,720-square-foot ballroom will be built, offering views of Circular Quay and the Sydney Harbour Bridge. Brisbane Convention & Exhibition Centre (BCEC) has joined forces with Rydges Hotel South Bank opening up new opportunities for smaller and medium-sized conferences wanting a convention centre experience but with the added convenience of a single point of contact for accommodation and conference facilities. South Bank Conferences is an exciting initiative that will simplify the process with organisers benefiting from the convenience of premium on-site accommodation and access to the dedicated boutique conference facilities of the World's Best Convention Centre. BCEC and Rydges have enjoyed a long and successful relationship and this new partnership offers unparalleled advantages and benefits beyond that of traditional conventional hotel conference facilities. The one-stop shop approach will see unrivalled conference facilities co-exist with award-winning hospitality and hotel services taking smaller and medium-sized conferences to a whole new level of effectiveness and professionalism. The recently refurbished Rydges South Bank Brisbane connected by private entry to the Convention Centre sits right in the heart of Brisbane's bustling arts and entertainment precinct. All 304 rooms including 64 suites have been meticulously refurbished as part of a $30 million upgrade including the creation of new spaces and experiences. Celebrating its seventh anniversary this year, BCEC's strategic partnership with some of Australia's top scientific and academic brains, is a collaboration critical to attracting international scientific conventions to Brisbane, enabling the sharing of knowledge and expertise that could ultimately change lives. The Adelaide Convention Centre celebrated 30 years in business with the completion of its two-phase, A$397 million redevelopment and opening of its all-new East Building. Another highlight of the centre's redevelopment is the installation of Skyway, an aerial walkway which connects the venue's three buildings at an upper level, providing panoramic views of the city's Riverbank precinct. "to create a new breed of convention centre in terms of flexibility and innovation". 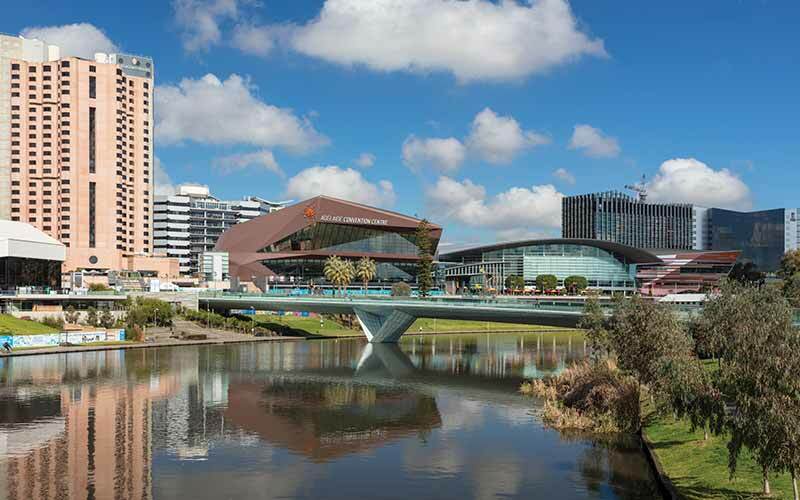 "Not only does it pay homage to South Australia's iconic landscape, but it brings together rotating drums, hinged seating and operable walls in one building for the first time, making it one of the most flexible convention centres in the world." Adelaide's transformation includes the development of BioMed City - the largest health and life sciences cluster in the southern hemisphere. W Hotels is entering the Down Under market with two new properties, opening this year and in 2020, respectively. • In the city's center, the 312-room W Brisbane debuts March 15 with about 11,000 square feet of meeting space. The property's Wet Deck (the pool) will look out on the Brisbane River, as will the signature restaurant. • The 294-room W Melbourne, aiming for a January 1, 2020 launch, will be designed by Shop Architects from New York City and will feature 13,000 square feet of meeting space. 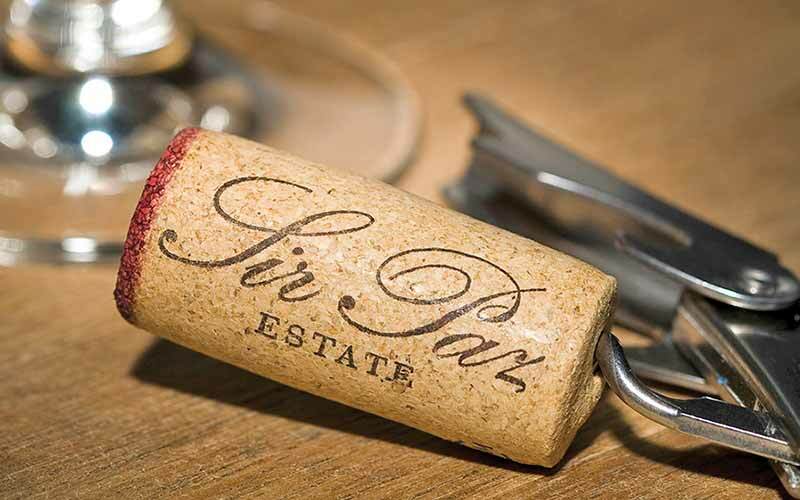 Head west of Melbourne for wine-tasting and lunch at the Yarra Valley's Sir Paz Estate.